filtroUNO® Pleated cartridge are available in wide choice of microns (0.10 to 40 microns) with wide range of length (5, 10,20,30,40 inches) & have excellent dirt holding capacity. 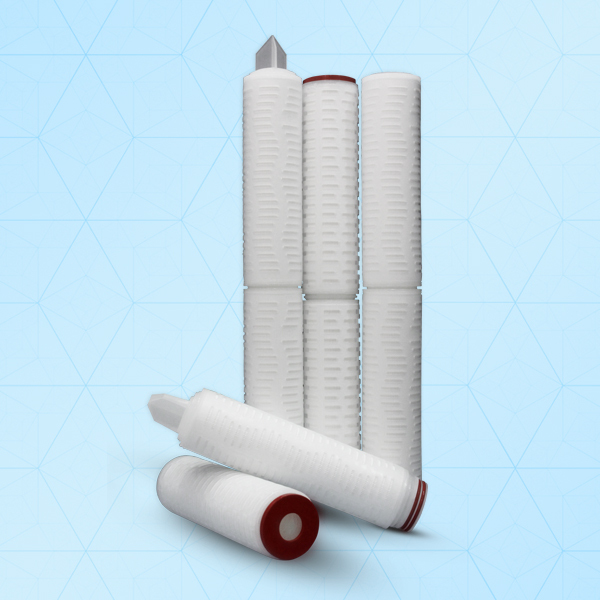 Filtering material is double layered polypropylene membrane and internal support is given by PP shell. Ideal for: Electronic Industry: Etching Solution, electroplating. Chemical Industry: Adhesive, solvent, surfactant, chemical. Food and Beverage: Wine, potable water, beer, soft drink, brewery, edible oils. General process industry: Pre-filtration for DI and RO system, process water.